John Kenneth Muir's Reflections on Cult Movies and Classic TV: Ask JKM a Question: Run, Joe, Run (1974-1976)? "You write frequently about Saturday morning TV series. Any chance that you will cover my favorite from childhood: Run, Joe, Run?" Peter, thank you for the question. 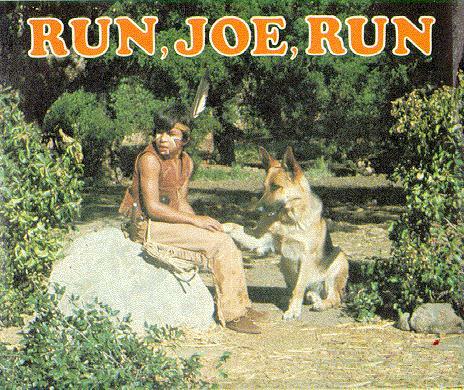 I would love to cover Run, Joe, Run (1974-1976), but so far as I know, the series has never been released commercially, or on YouTube. In other words, it is that rare piece of 1970s memorabilia that remains lost and forgotten, alas. I would love to see the series released for streaming or on DVD, not because I think it would be great art, but because I remember watching it as a kid too, and would like to relive the memories. 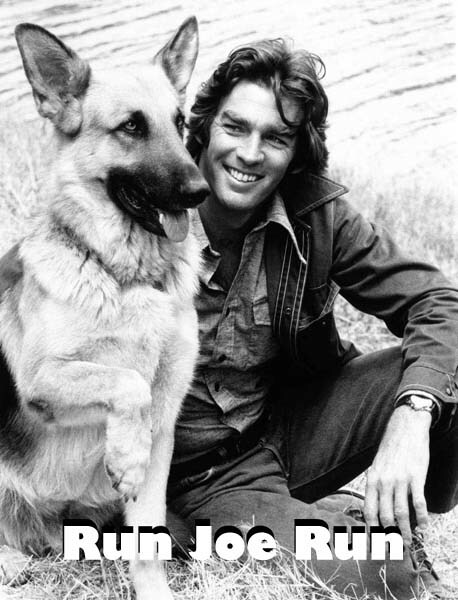 For those who don't remember the series, Run, Joe, Run is the story of German shepherd, Joe, in the K-9 corp of the military. He is falsely accused of attacking his master, Sgt Will Corey (Arch Whiting) and is scheduled for execution. Joe escapes from custody, and a bounty is put on his head. Released by D'Angelo Productions, Run, Joe, Run aired on NBC for two seasons and each half-hour episode featured Joe intersecting with the lives of people who need his help, while he tries to clear his name. In other words, the series is The Fugitive...but with a dog. In the second season, Whiting left the series, and Joe had a new friend, a hitchhiker named Josh (Chad States). Over the course of the two seasons, prominent guest stars included Kristy McNichol and Robby Rist. Like other Saturday morning shows of the same era, Run, Joe, Run often featured didactic "moral" stories for children. One such message, in "False Alarm," was basically "don't cry wolf." It's been forty years since I've seen an episode of this series, and it sure would be a kick to revisit it. Here's a look at the two season openers, which have been uploaded, for posterity, on YouTube. "In other words, the series is The Fugitive...but with a dog." You so know that this is how the producers pitched it to the network! I vaguely remember seeing a Canadian TV show about a German Shephard called "The Littlest Hobo" when I was a pre-teen. It was based on a movie from 1958, and I think there were 2 different TV versions, one from 1963-65, and the second from 1979-85. I wouldn't be surprised if Run Joe Run drew its idea from the 1950s movie too.